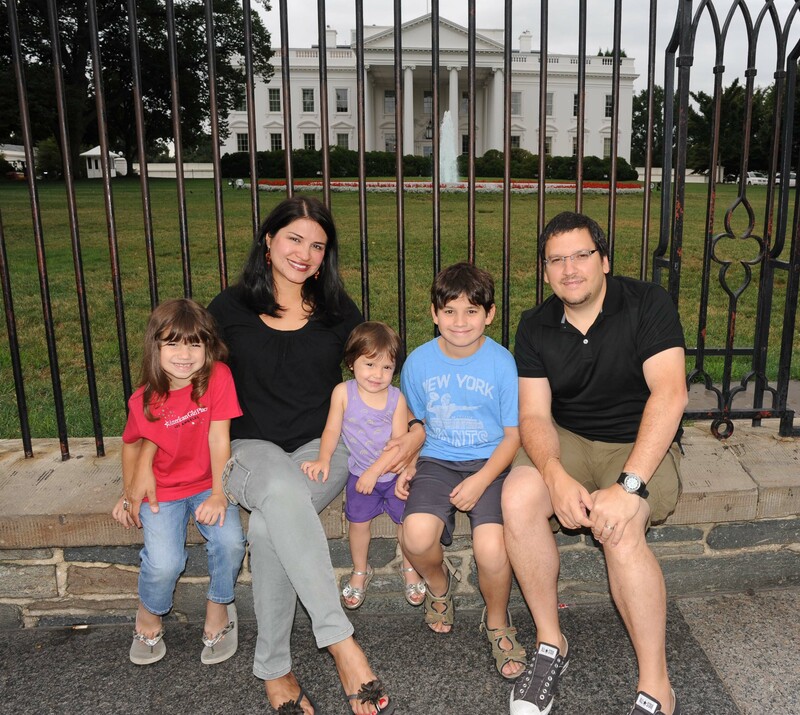 Seeing the White House was a highlight for the kids, proud supporters of President Obama, the first president they will likely remember. Mine was Ford. (photo sponsored by McDonald's). On the 44th day of our road trip, the PapiBlogger family visited the White House before getting aboard the PapiMobile (aka Chevrolet Travers) for a long day of traveling to Savannah, Georgia, the last stop of our epic vacation. 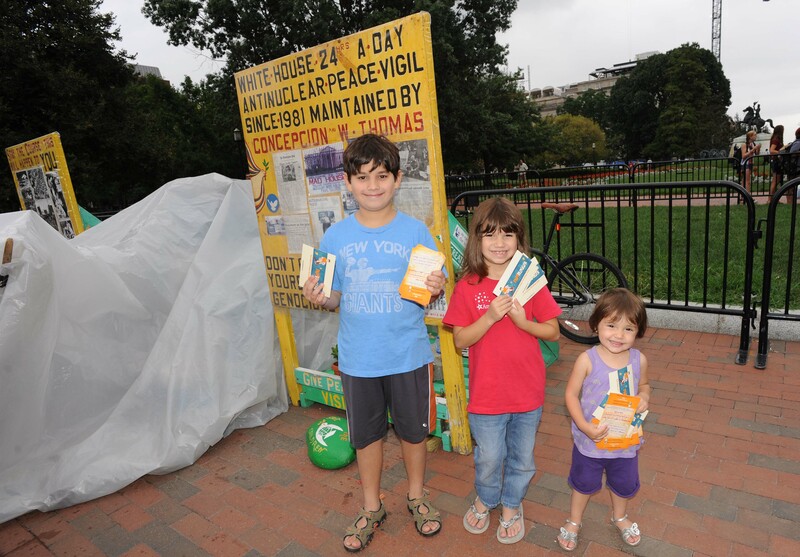 The kids actively distributed PapiBlogger postcards to families they encountered in front of the White House. (Photo sponsored by McDonald's). 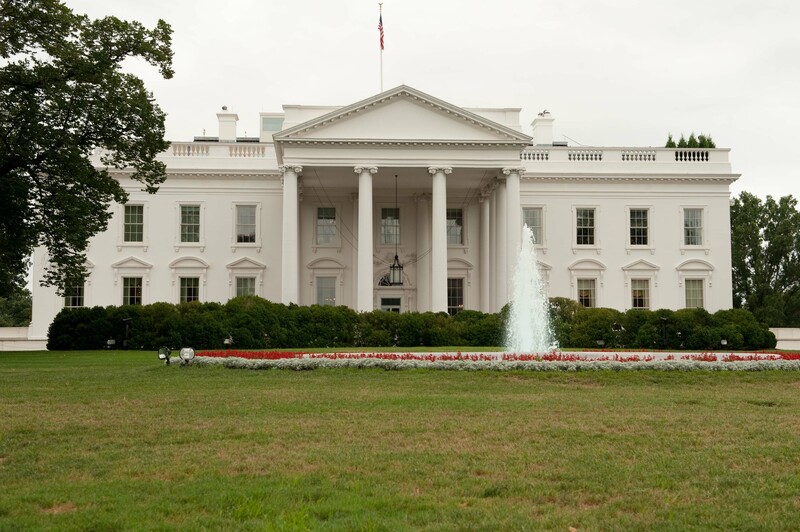 I’ve been to the front of the White House several times before so I was surprised to see that when we got here it was relatively empty of tourists and had only one guy with a pitched tent protesting something. President Obama is the first president that Jonathan and Elena will clearly remember so they were super excited to be “near” the president. They think everyone is like us and likes the president so the big thing Jonathan immediately asked was why the president needed a fence around his house. This is the clearest photo possible on this overcast day. 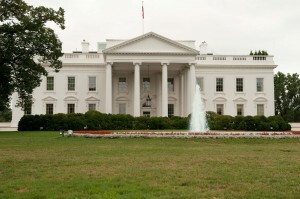 Earlier I was told by security that I could not use any tripod to photograph around the White House. (Photo sponsored by McDonald's). In order to illustrate that the White House is a place where people exercise their rights to express themselves, we got the kids involved in some good old-fashioned democracy in front of the White House. 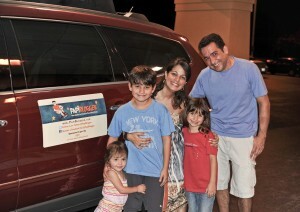 We created a competition to see which one of the kids would be able to pass out more PapiBlogger postcards to families. We almost regretted it because Jonathan constantly ran ahead of his younger sister to hand out postcards to families she was targeting but overall it worked out. They did a great job of passing out the postcards and even Briani got into the distribution action because she’s at that age where it’s all about monkey see/monkey do. On our way out of DC, we wanted to pit stop at the Lincoln Memorial but it was impossible. To do so we would have had to park more than a mile away (there’s no parking lot even remotely near it) and time was not on our side because we had a pressing need to get to Savannah for a dinnertime rendezvous with my-ex wife Mari, the mother of my children Jonathan and Elena. Jonathan, Elena finally got to see their mom Mari and her boyfriend TIto. Even our 1-year-old Briani seemed eager for a break from her parents. Photo sponsored by McDonald's. Angela and I are very grateful that my ex-wife has been so flexible because it had been nearly 46 days since she last saw Jonathan and Elena. When the kids saw Mari and her boyfriend Tito, they were overjoyed – and maybe relieved too. For them, Mom meant a break from Daddy and Angela. For most of one day – and a whole next morning too – the kids knew they wouldn’t have to wake up early or go anywhere. If you’re taking a vacation of a month or more and you won’t be driving your vehicle, you may be able to save some insurance money. We have our policy with State Farm and learned that we can freeze insurance on our car until after our return. If we had known beforehand we would have saved some nice money. I’m sure other insurance companies have the same or similar policies.